The grant awarded to BUSTH is one of 13 grants Lilly Endowment is making through Called to Lives of Meaning and Purpose, a $20 million national initiative. The initiative is designed to help US-based organizations as they work with congregations to build new ministries and lift up practices of discernment of vocation in Christian traditions. At BUSTH, the Center for Practical Theology will be the locus of the grant project. We are thrilled to work with thirteen congregations from throughout New England. 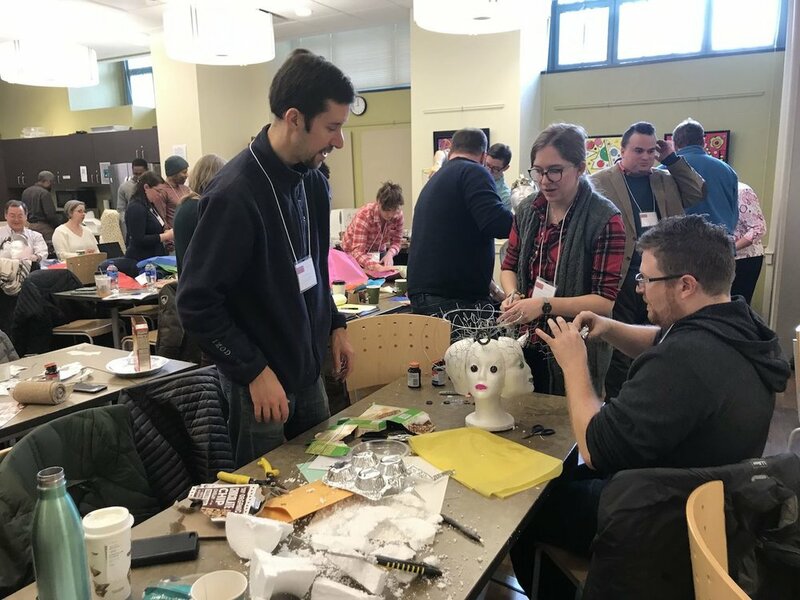 At our February 2 Creative Callings gathering, Dr. Courtney Goto introduced theologian Walter Wink’s notion of the “angel of a congregation,” and congregational teams spent time creating and naming their angel. Pictured here are teams at all stages of the design and display process. Links to all thirteen of our congregations are also included here. “Our hope is that the project will have a transformative impact on congregations and communities while also bringing distinctive contributions to scholarship and to the ways in which we help form religious leaders here at BUSTH."